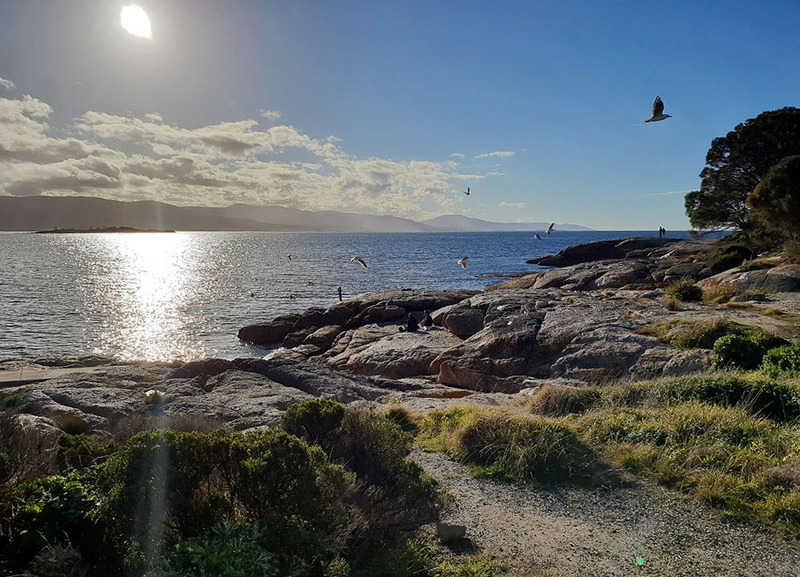 We have been in Tasmania from April to September of this year and we had an amazing experience, which we would like to share with you. But first, you should know who ‘Team Tasmania’ is. 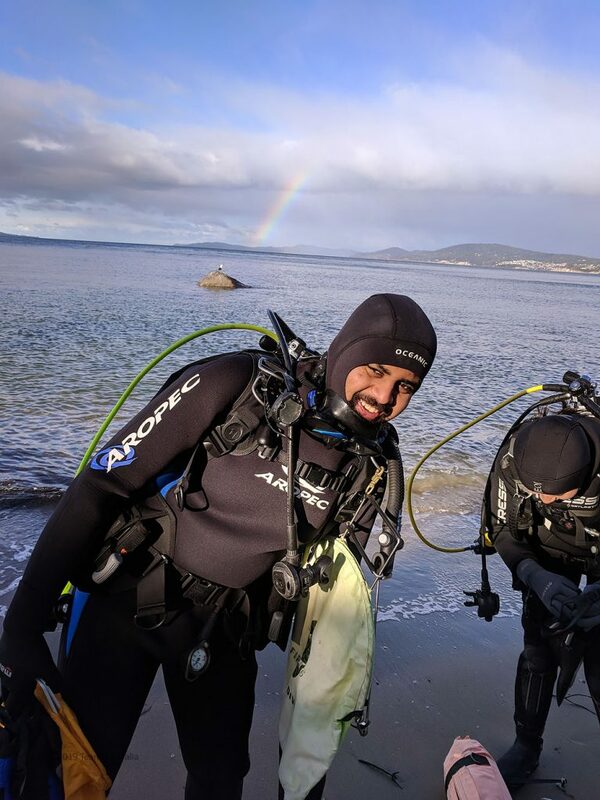 Team Tasmania is composed of Tamina Wosch, a Master’s student studying Technical Biology at the TU Darmstadt in Germany, and Jeremy Josh, a Master’s student studying Marine Conservation Biology at the University of Tasmania in Hobart, Australia. Institute of Marine and Antarctic Studies (IMAS) at the waterfront in Hobart. 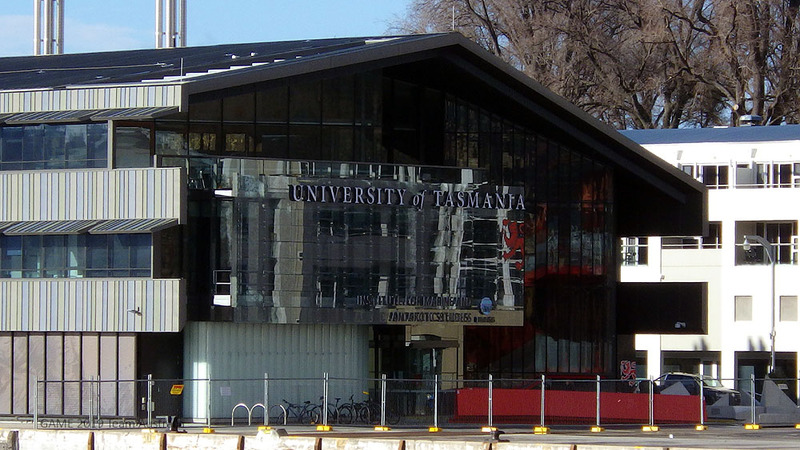 For the GAME project, our main base of operations was the Institute for Marine and Antartic Studies also known as the IMAS waterfront building, which is located in the central business district of Hobart. IMAS is part of the University of Tasmania and its main research areas include fisheries and aquaculture, biodiversity and marine ecology, the open ocean and Antartica. Our lab is located here as well, where we set up the experiments under the guidance of Dr. Catriona Hurd and Dr. Jeff Wright. 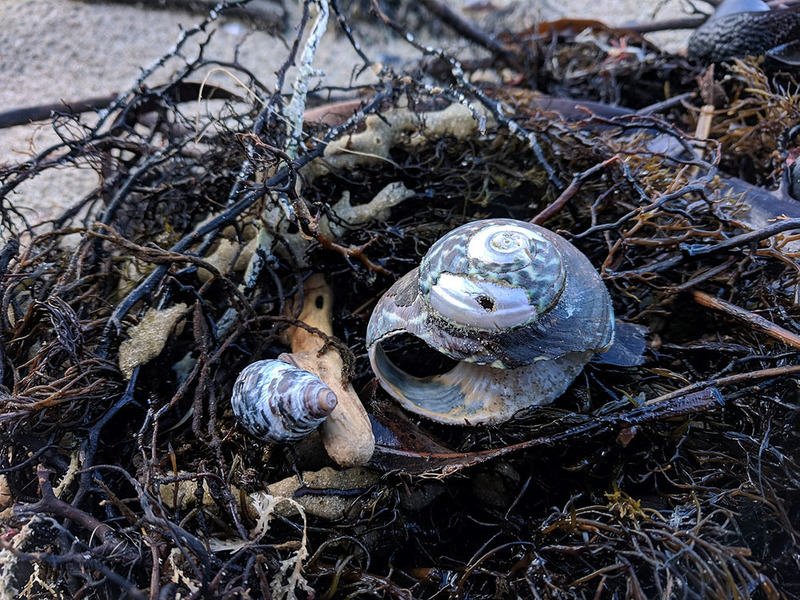 For our grazer species, after a bit of research and contemplation, we decided on using Lunella undulata, a herbivorous marine snail that can be found all along the coasts of Tasmania in the subtidal and the intertidal. It occurs on rocky, moderately exposed reefs in depths ranging from 0 to 10 m. They feed on various types of algae, and can grow up to 55 mm in diameter. Most individuals of this species reach sexual maturity at around 27 mm. It is fished commercially and consumed as a delicacy domestically. The females are distinguishable from the males as they have green gonads, while the males have white/cream coloured gonads. A lot of Lunella undulata shells (right) are lying around on the beaches after a storm. After some literature research on the species and the long painstaking process of acquiring all the necessary permits, we were finally ready to begin the experiment. We collected our snails using SCUBA as they are relatively hard to spot underwater. This is because they hide among the algae that grow on rocks and also often have crustose coralline algae growing on their shells. Thus, they are blending in with the algae covered rocks around. The waters around Tasmania get cold, extremely cold. We collected the snails at 9°C water temperature. Jeremy about to get in the 9°C cold water to collect out test organisms. With the snails now collected, we decided to test a number of different algae to see whether they are suitable food sources. Species like Ulva spp., Cystophora monoliniformis and Ecklonia radiata were chosen due to their proximity to the snails. We conducted a series of three pilot experiments with the snails to obtain information about their survival at different temperatures, consumption rates and preferred feeding times. But we were not always lucky with these experiments and we encountered a number of issues during our work. The first two pilot studies aimed at assessing the survival of snails at different temperatures and at the palatability of the different macroalge we collected. Furthermore, they served to check the consumption of algal pellets by the snails across different temperatures. The algal pellets served as a standardized artificical food and were made from agar and Ulva powder, which we processed ourselves by freeze drying and powdering Ulva individuals. The third experiment helped to identify which algal species is preferred by the snails. 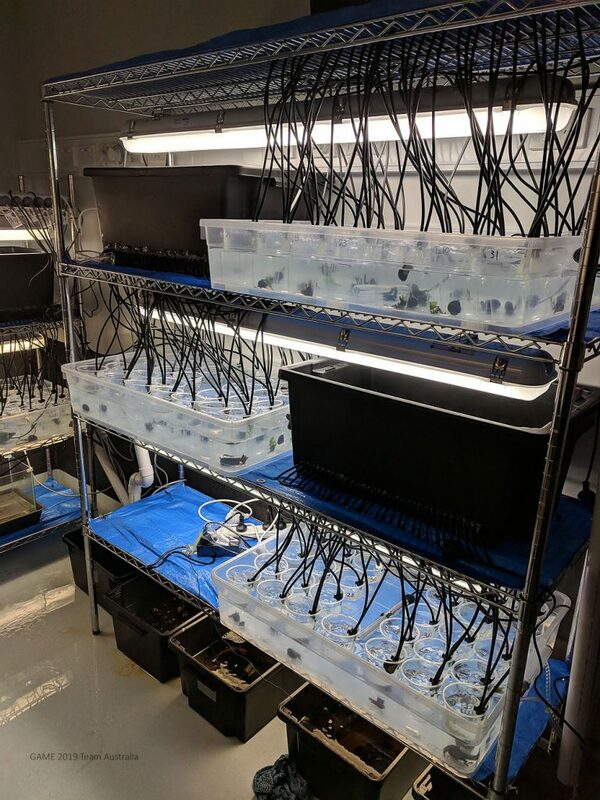 Aside from the fact that the second experiment failed since all 100 snail individuals refused to eat anything, possibly due to an infection, the results we obtained were highly informative and we were ready to start our main experiment! In the feeding assays, which constitute our main experiment that followed the pilot studies, the snails were given a choice of four different algae, as we wanted to see how their diet composition changes over a temperature gradient. We collected our snails and set up the experiment, but encountered an unexpected problem: Our assay was originally supposed to be 48 h long, but due to the rapid feeding rate of this batch of test individuals, we reduced the assay time to 24 h. This was still too long, as the snails consumed 100 % of some species of algae, in only 13-18 hours. This led to ending the assay early. The fact that some of the algae were completely eaten may compromise our results as there is the possibility that the snails have consumed some algae only because the other algae were not available anymore. 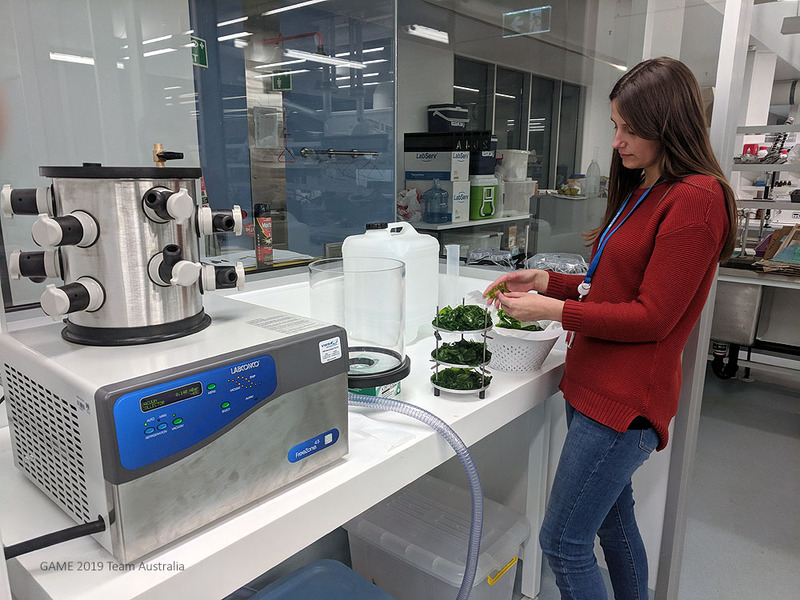 Tamina freeze-drying Ulva tissue for the pellet production. Setting up our system was a time consuming but also very creative task. Aside from our experiment, Tasmania has been an amazing and beautiful place, with rainbows, mountains and seas being commonplace. 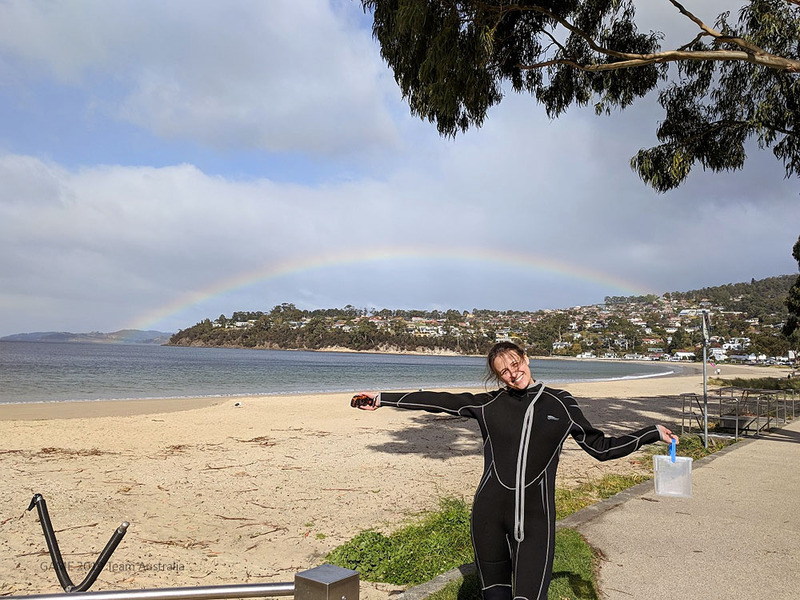 Since we collected our test organisms ourselves, we also had the opportunity to experience the marine environment in the south of Tasmania, which has very clean, beautiful but cold beaches (especially in winter!) The reefs here mostly consist of kelps, with crustose coralline algae and other macroalge dominating the substratum. There is also a large number of sponges and worms, numerous species of fish as well as invertebrates such as snails, octopuses and squids. The invasve sea urchin Centrostephanus rodgersii turned some places along the coast of Tasmania into barrens. 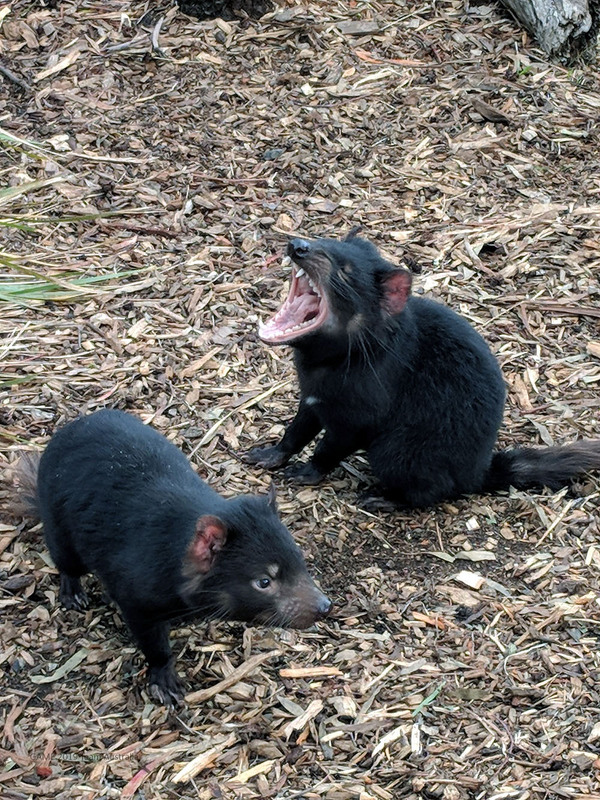 We also got a chance to meet the local terrestrial wildlife at the Bonorong wildlife reserve, where we saw and interacted with animals like kangaroos, wallabies and the infamous Tasmanian devil. One of the many rainbows at Kingston Beach. 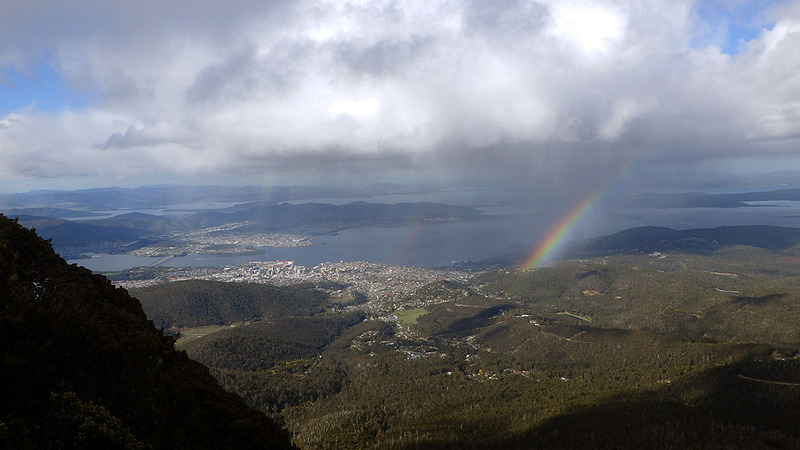 View of Hobart from Mount Wellington (of course with another rainbow). 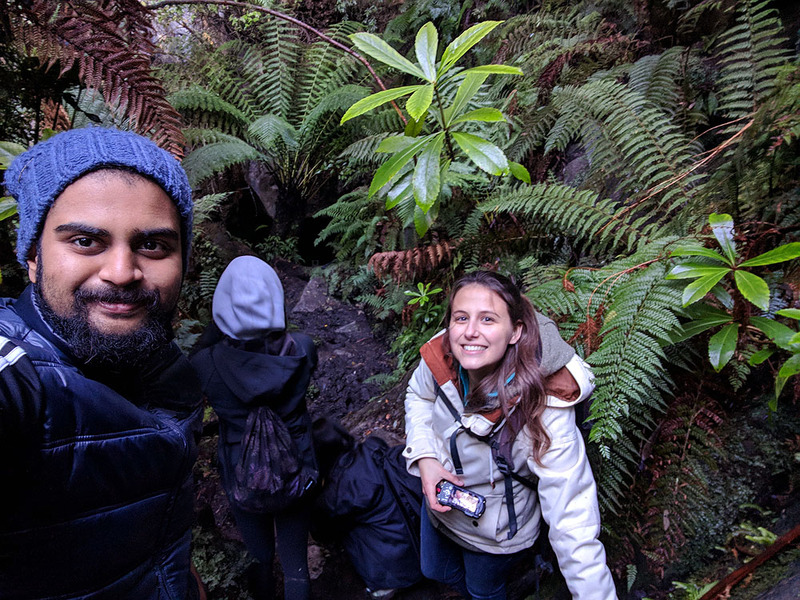 Team Tasmania on a hike to a glowworm cave through a rainforest. 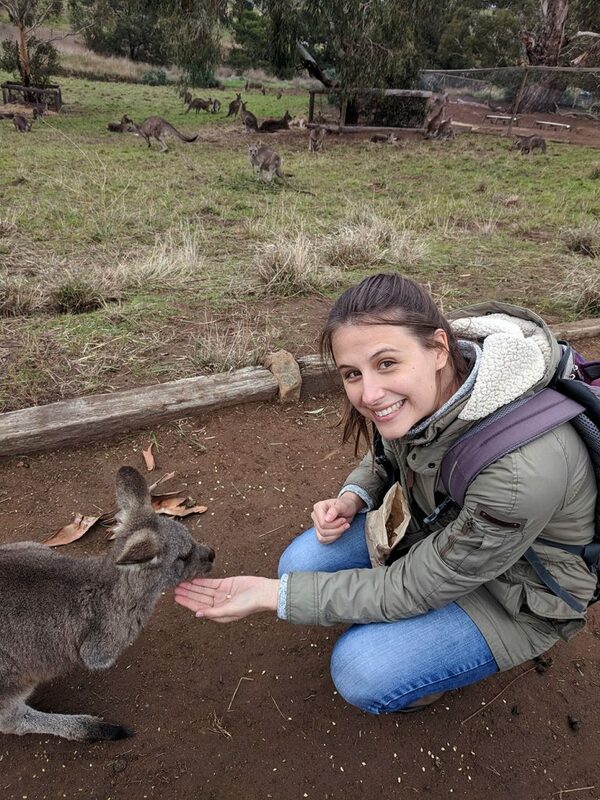 Tamina happily feeding a wallaby. Overall, it has been an amazing learning experience as we are sure it was the same for all the other GAME teams.